In 1961, Thomas Schelling's The Strategy of Conflict used game theory to radically reenvision the U.S.-Soviet relationship and establish the basis of international relations for the rest of the Cold War. Now, Anne-Marie Slaughter-one of Foreign Policy's Top 100 Global Thinkers from 2009 to 2012, and the first woman to serve as director of the State Department Office of Policy Planning-applies network theory to develop a new set of strategies for the post-Cold War world. 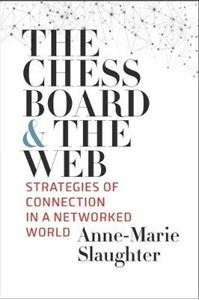 While chessboard-style competitive relationships still exist-U.S.-Iranian relations, for example-many other situations demand that we look not at individual entities but at their links to one another. We must learn to understand, shape, and build on those connections.